Forming a reliable connection between the patients and the healthcare providers is very crucial in the arena of healthcare, and Patient Communication Portal Software is just apt for that purpose. Patient portal software and mobile app allow patients 24/7 convenient access to personal health information from anywhere with an Internet connection. Patients actually love this idea and are eager to best utilize this improved community opportunity with healthcare provider. This portal offers a number of benefits to the patients and if you intend to get a patient portal developed for your medical practice, it is advised that you get in touch with a experienced Patient Portal Development Company, who has an expertise in providing Healthcare Software & IT Solution. Ability to submit all necessary information demanded by the practice or upon doctor’s request. Give an access to all necessary healthcare information and to review data and direct communication with a doctor. Enable them to place requests for any necessary services ranging from making appointments to prescription refilling & obtaining referrals. The idea is certainly to have more satisfied patients and that will be possible when they are at the benefiting end, and such approach is going to be beneficial for both. Patients will be satisfied to have an access to all relevant data or make any changes requested by the practice, whereas, Healthcare practices will be saving their time & receive all the information at short notice. What are the Benefits of a Patient Portal? Improved Patient Communication: The portal can be utilized by the patients to accomplish a number of tasks that usually require making a phone call, or say many phone calls. As patients can themselves place requests for appointments, medication refill, referrals from the patient portal, it increases the clinical staff’s efficiency, as they are allowed to keep their focus set on assisting patients requiring the most immediate care. Increase Efficiency: These portals can be used as an efficient means to accomplish many of the daily administrative tasks which typically require numerous staff members. When patients are enabled to make appointment requests themselves on the portal & request for a medication refill, it helps in streamlining and expediting otherwise time-consuming tasks. Enhanced Patient Engagement: These portals increases the extent of patient’s involvement in their healthcare, with them being able to access crucial health information more readily, like test results or just to stay more informed. Reduces Instances of No-show: It is among the most significant benefits of Patient Portal software/mobile app that drastically reduces the instances when patients forget to attend appointments. These portals are equipped with the ability to alert patients via emails, messages about upcoming/rescheduled appointments. Streamlines Patient Registration & Administrative Tasks: These portals allow for registration forms completion electronically prior to appointment check-in and this keeps front-office handlings more efficient. Thus, instead of guiding patients about which forms to fill and how the front-office staff can rather focus on the patient in front of them and any questions they might need an answer of. This way, by the time patient, reaches the medical center they are done with administrative requirements, so their only concern will be medical in nature. These ensure cost savings and improve care delivery. Better Clinical Outcomes: As with the patient portals, tasks like requesting for a prescription refill, referrals gets easier and convenient and this leads to great patient compliance. And when patients are following the orders of physicians, the outcomes are bound to improve. Improved Patient-Physician Relationship: These portals enable patients with 24-hour access to connect with their healthcare providers, who can review patient health info, answer to asked queries & review notes. This certainly makes patient-physician relationship closer than ever. Prioritizes Patient Care: The portal enables easy access and sharing of patient information electronically. This way, the physicians don’t require to focus on finding what’s needed in the patient’s chart or figuring what how to get those records to the provider the patient is being referred to, the focus can be solely on a higher standard of care. Registration: As soon as the patient enters his/her email id into the portal, a staff member initiates a Portal Registration email, to which the patient is required to respond correctly as the Portal Registration email consists of ‘identify verification questions’, in order to successfully complete the Portal Registration Process. Patient Profile: Here the patient updates his/her profile adding basic information, along with General Health Information & demographic information. They can view/update general health info documented in their records at the clinic. The information may include Medication List, Documented Allergies, Patient immunizations, Medical History & a List of Health issues. SMS/Texts: Patients can communicate with the clinical staff using messaging feature. Book Appointment: Patients can get the appointment booked via the portal. As the Doctor schedules or confirms an appointment, patients receive an alert. In case the appointment has been canceled/rescheduled, the patients can be informed about the same. View Health Summary: Patients can view their Health Summary Information from anywhere and at any time. View Visit Notes: Patients can view visit notes signed off by healthcare providers and uploaded on the portal. Upload Document: Patient can upload relevant documents (test reports, images & videos) on the portal. View Lab Reports: Patients can view Lab Test Reports on the portal. Print/Save e-copy: Patients can get the health summary/last office visit printed or can also save an e-copy. Place Physician Referral Requests: Some healthcare practices allow their patients to place Physician referrals requests via Patient-Portal. Refill Request: Some healthcare practices allow their patients to place Prescription refill requests, which are reviewed & approved by a healthcare provider before refilling is done. Medical History: In case of certain kind of appointments, your physician may request you to fill a medical history questionnaire. In that case, once the appointment is confirmed, an alert is displayed on Overview tab in a Patient portal. View/Print/Copy CCR: The patients can view a Continuity of Care Record (CCR), which is a snapshot of health summary information documented in your Electronic Medical Record (EMR) at your physician’s office. Patients can get a CCR’s copy, save a copy to their computer, in case they want to carry that while they go to another doctor for consultation. This is crucial to avoid lethal medication interaction. Insurance Information: Patients can go to the portal to view/update their insurance information. Billing Query: Patients can submit billing related queries via the portal. e-Payment: Multiple Payments modes are made available for patients to make online payments. Ratings & Reviews: Alerts can be sent to patients to rate and review their recent visit to the portal. Note: Most functionalities available on the Portal are optional and can be enabled/disabled by Portal Administration website, so specific features can be implemented on the basis of your preferences. There is no doubt that medical mobile application enables both hospital staff and patients to access all the information on the go from any where. 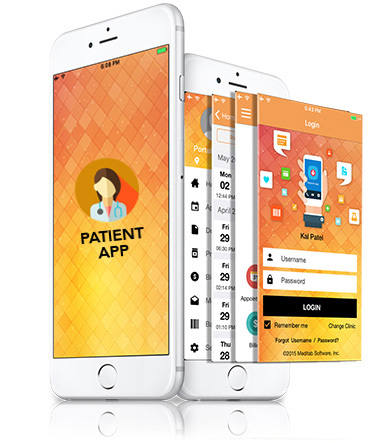 thus, developing mobile application for patient communication is a great idea. It also helps to enhance patient engagement with the system. How Hospital Practice use the Patient Portal? Connects Staff & Patients: Communication between clinical staff and patients get effective and easier through an Online message system provided in the portal. Send Reports: Lab tests & other diagnostic test reports can be sent to patients via Patient Portal, as well as it includes important messages regarding reports. Receive requests: Staff can receive referral request, refill request & billing queries submitted by patients through the Portal. Schedule Appointments: Appointment requests made by patients can be received via the Portal directly to Wait-list. Appointment Reminder: Customize Alerts for a scheduled appointment can be sent to the patient as well as doctor directly a day prior to the scheduled time. Visit Note: Visit Notes can be created in a chart available on Patient Portal so to know Patient’s response to the visit made by him/her recently. Doctor’s Profile: This section consists of details, like Name, Address, Photograph, Area of Specialization, Available Appointment Hours and User Review & Ratings. Doctors can also ask the admin to input additional info such as Brief Professional bio, Education & Certification & Past Experience. Appointment Status: Doctors can view exact date & time of all Scheduled, Completed, Cancelled & Rescheduled Appointments. Edit Schedule: Necessary changes can be made to the daily schedules based on doctor’s availability. Online Prescriptions: Doctors can provide e-Prescription via the Portal, Accept refill requests, etc. Patient Information: The crucial patient information can be browsed by the doctor through the portal whenever the need arises. Access Reports: Doctor can access the documents, lab tests and other test reports of patients while being on the go. Known allergies: Doctors can always view the known patient allergies on the portal and prescribe drugs accordingly. Access Medicine Database: Medicine Database can be accessed from the portal. Generate New Rx: In case the old dosage needs to be revised, doctors can generate new e-prescription to the patients via the portal. Create Favorite-list: Doctors can create Favorite-list of prescriptions for each patient thus making the process faster. Dosage calculator: This dosage calculator keeps doctors informed about the right dosage of medicine that needs to be given to the in-patients. Patient details: All the relevant details related to the patient can be found here. Known allergies: They can stay aware of the known allergies of the patient, so provide drugs accordingly. Doctors Details: Get information such as physician information for reference, patient insurance details, also allows referring the current e-prescription and the patient status. Prescription (Text or Image): The order requests from the patients can be accepted by the pharmacists via this portal. New orders: New orders requests placed by patients via the portal can be received by the pharmacist. Accept orders: Accept order requests from the patients via the portal. Delivered orders: Keeps a record of orders delivered by a pharmacist to the patient. Receive Payment: Pharmacist can receive payment from the patient in the lieu of drug delivery. Prescription History: Past order history of the patients can be checked by a pharmacist. Drug Database: With there being comprehensive drug database, it is easier to search by brand and generic drug names, class, specialty, alphabetically, as well as a favorite list, can be created. Check document: Documentation of provided medication is improved with electronic prescribing by tracking what medications are delivered and when. Online Payments: Order status can be tracked online and patient payments can also be collected even after they have left the clinic, with e-payment integration system into the app. Community Forum: This section is to connect the Patients, Physicians, Clinical Staff & Pharmacists, where all of them can discuss information and share opinions. It keeps them all aware of the medical surroundings, for example, an event or concert is being organized where all of them can come together and contribute. Patient Education: Patients are often keen to know about the medicine taken by them, and this provides right information to them. The Portal connects to the pharmacy databases in order to locate information about alternative medications, possible side-effects and comparative costs. Feedback: Patients can share their experience with the app and medical service provided by the hospital by heading to the portal. What to go with: Custom Development OR SaaS-Based Product? As one decides to get the Patient Portal developed for their medical practice, various factors need to be considered but the most integral decision is to find whether you require to get a customized patient portal developed or buy a SaaS-based Patient Portal. Custom Patient Portal Development: Large Healthcare institutions and medical practices mostly prefer custom patient portal mobile app development, it offers control to the owner and as it is a customized software, so the exciting features can be added as per the organization’s requirements and preferences. SaaS-based Patient Portal: Well, the SaaS-based Patient product is feature-rich and offers numerous benefits. However, it is most suitable for small clinics and the here the medical practice has no control over it and more features can’t be added, as it is in the case of customized patient portal development. 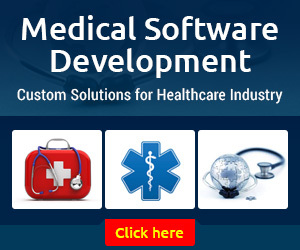 Why is it important to choose right development partner for Custom Patient Portal Development? 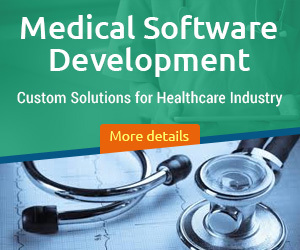 Once you are sure that the Healthcare Software Development Company will be able to provide you with these essential features, give it a go. What is the cost to develop a Custom Patient Portal?